Udover fadlagrede varianter af de tre øl fra Amager Bryghus Mobster Series, så har Amager Bryghus haft to andre øl på den sending friske Bourbon-fade de fik fra Barton destilleriet. 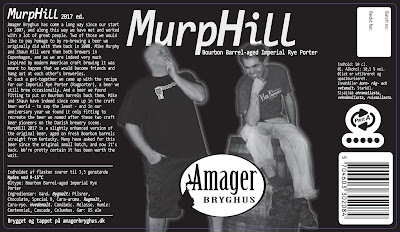 Dels Murphill, som nogle vil kunne huske, og så har Ryeking også været en tur på fad og er blevet til Paul the Packing Piano Player. Begge vil blive frigivet fra bryggeriet den 9. december. Kort bemærket så hører Ryeking til blandt mine absolutte favoritøl. 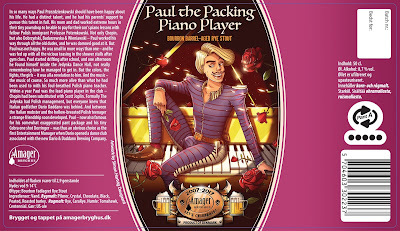 Hvis fadlagringen har rundet den en smule og givet lidt mere punch, så vil jeg allerede nu godt pege på Paul the Packing Piano Player som en oplagt kandidat til årets ølnyhed. 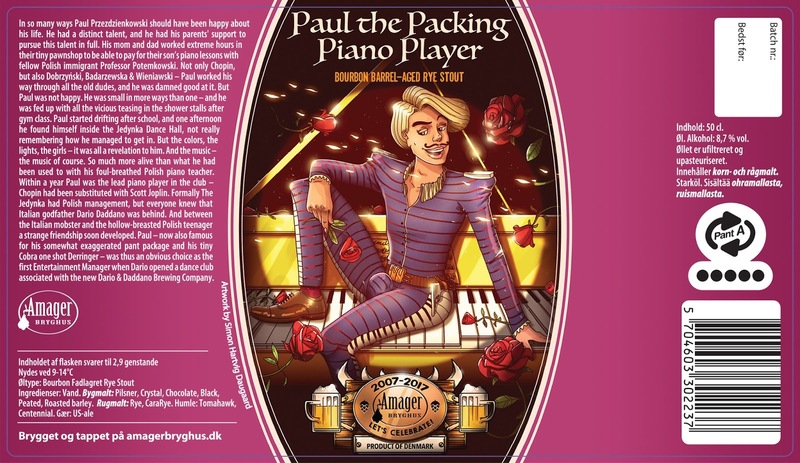 Paul the Packing Piano Player, Bourbon barrel-aged Rye Stout, 8,7%. In so many ways Paul Przezdzienkowski should have been happy about his life. He had a distinct talent, and he had his parents' support to pursue this talent in full. His mom and dad worked extreme hours in their tiny pawnshop to be able to pay for their son’s piano lessons with fellow Polish immigrant Professor Potemkowski. Not only Chopin, but also Dobrzyński, Badarzewska & Wieniawski – Paul worked his way through all the old dudes, and he was damned good at it. But Paul was not happy. He was small in more ways than one – and he was fed up with all the vicious teasing in the shower stalls after gym class. Paul started drifting after school, and one afternoon he found himself inside the Jedynka Dance Hall, not really remembering how he managed to get in. But the colors, the lights, the girls – it was all a revelation to him. And the music – the music of course. So much more alive than what he had been used to with his foul-breathed Polish piano teacher. Within a year Paul was the lead piano player in the club – Chopin had been substituted with Scott Joplin. Formally The Jedynka had Polish management, but everyone knew that Italian godfather Dario Daddano was behind. And between the Italian mobster and the hollow-breasted Polish teenager a strange friendship soon developed. Paul – now also famous for his somewhat exaggerated pant package and his tiny Cobra one shot Derringer – was thus an obvious choice as the first Entertainment Manager when Dario opened a dance club associated with the new Dario & Daddano Brewing Company.